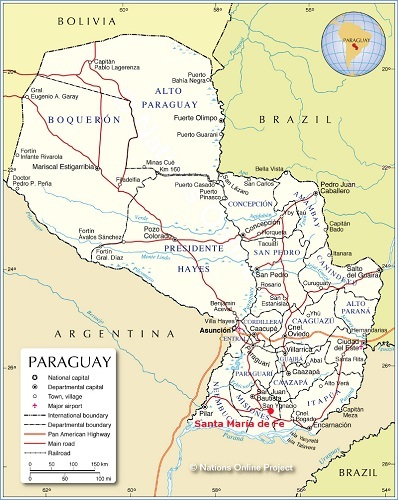 Santa María de Fe, one of the great historic sites of Paraguay, lies in the south of the country. It is a delightful, peaceful village (or small town) that was formerly a Jesuit “Reduction” (or Mission for the indigenous). 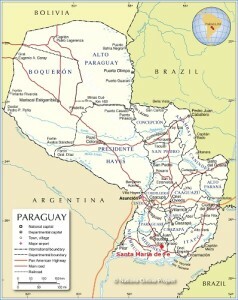 The department in which it is situated is still called Misiones. Today, Santa María is a delightful, unspoilt jewel in the heart of the Paraguayan countryside, and probably the prettiest of all the former Guaraní Reductions. However, it is also a very poor place with massive unemployment, where the villagers struggle to make a living.